I drew a Bulbasaur, a character from the Pokémon video game franchise, though in a different art style. Awesome Paul... you should do more of these -- do a whole series of realistic Pokémon characters! 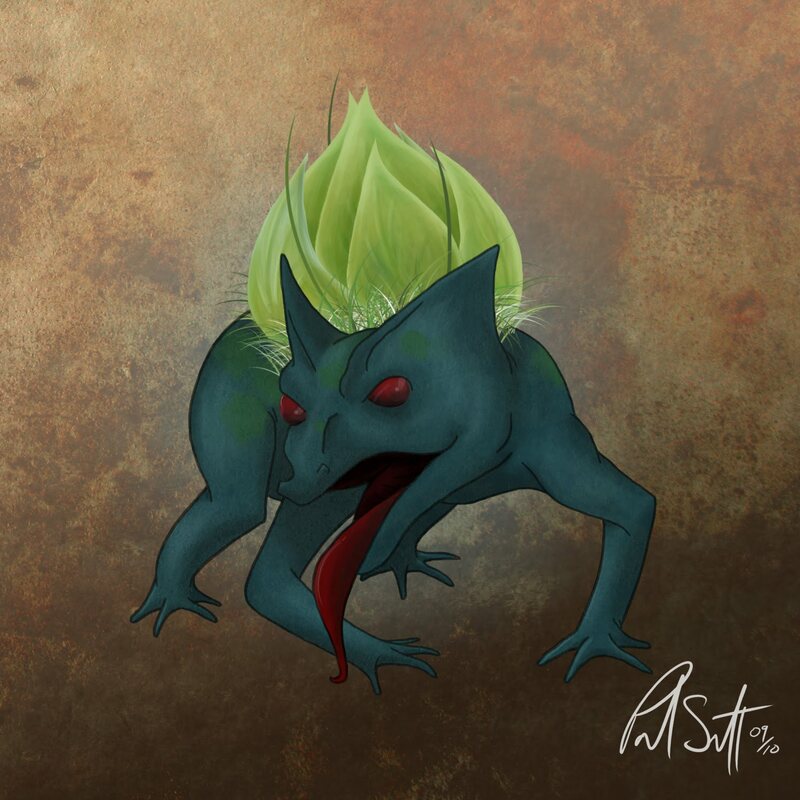 Interesting spin on Bulbasaur. Makes me not want one as a pet now. Hehe. Very cool.